One of the unique features of comics as a medium is the division of images and text into panels, often arranged in a grid and separated by white spaces. Scott McCloud, in his book of comics theory Understanding Comics: The Invisible Art, explains that this space between comics panels is called “the gutter.” McCloud also explains that readers of comics must rely on a process called “closure” to make sense of the fragmented images they see in the panels, and he claims that closure happens in the gutters, as readers use their minds to fill in the gaps between images. 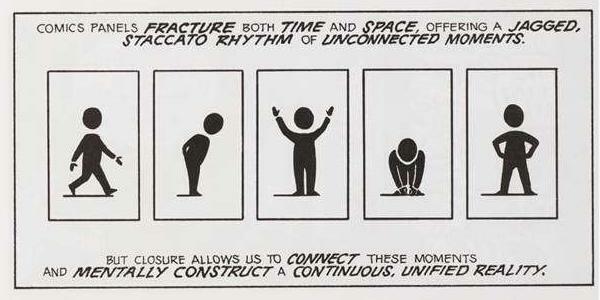 McCloud sees comics panels as fracturing space and time, but claims that the process of closure allows readers “to connect these moments and mentally construct a continuous, unified reality” (67). Closure happens in other media as well, McCloud notes, particularly film and television. Video media also rely on a series of framed images. 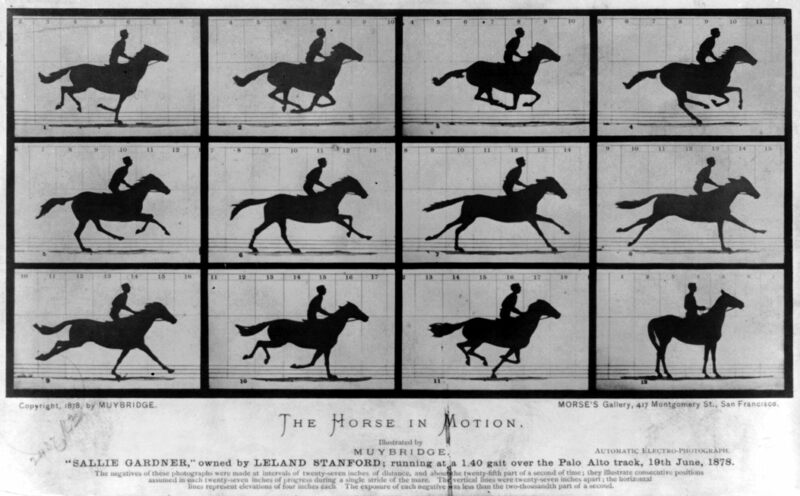 like comics, but the rate at which these images are transmitted makes closure an almost automatic, instantaneous process, so that viewers can passively absorb the stream of images as continuous and fluid. Comics, by comparison, require greater reader participation and engagement to create a “unified reality” (67) and this participation occurs primarily in the comics’ gutters. McCloud explains that “to kill a man between panels is to condemn him to a thousand deaths” (69) as the reader is responsible for imagining the exact details that are left out. The choice to use comics to tell a story thus has a great influence on the overall reading experience and on the meaning and message of the story. Some scholarly writers continue to discuss comics in a way that does not regard carefully the specific effects of these formal elements of comics, instead focusing on traditional literary analysis. Hillary Chute explains that in the early discussion of Art Spiegelman’s significant work of graphic narrative Maus, “Many critics struggled with the language of comics, in the sense that they virtually ignored the fact that Maus is a work of comics” (770), and I would argue that this continues to happen in some scholarly discussion of comics today. While I am approaching this project from the perspective of and with a background in literature studies, it seems important to focus not just on the content of the stories or the way that the narrative emerges from a strictly textual perspective, but to consider any political implications that the formal aspects of comics may contribute. To this end, I see the basic formal elements of comics—the spatial representation of time and the arrangement of panels and gutters—as contributing to the political import of both Persepolis and Fun Home in that they demand greater reader involvement and thus identification and also serve as a visual metaphor for cultural hybridity.